‘As The World Dies’ is the third album from the American thrash metal band Trauma. 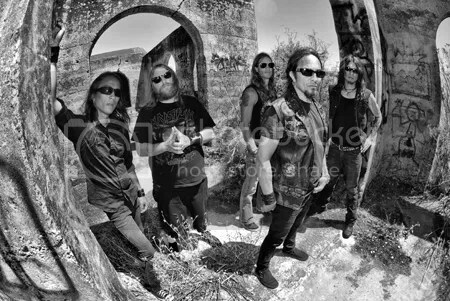 The band was originally formed by vocalist Donny Hillier in 1980 during the Bay Area Thrash Metal movement. The original line-up featured bassist Cliff Burton who then went on to join Metallica. Following the release of their debut album in 1984, the band went on a long hiatus before reforming again in 2013. 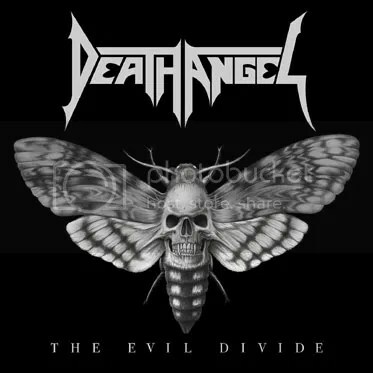 The current line-up includes Greg Christian (ex-Testament) and former Danzig guitarist Joe Fraulob. At first I thought that this was going to be one of those straightforward, classic thrash metal albums with fast, aggressive songs and shouting vocals. It turns out that’s not actually the case, there’s more to it than just that. The unmistakable Bay Area thrash metal sound is definitely present, audible in opening riffs and the drums on tracks such as the guitar-driven From Here to Hell. However, in addition to that there are also some more classic heavy metal elements such as melodic vocals, which reminded me a little of early Iron Maiden and to some extent Ozzy Osbourne. The guitar style and pace varies depending on the song ranging from the fast and furious to the melodic and more technical such as the title track. Last Rites caught my attention as one of the slower tracks on here and probably the closest thing to a ballad. This time the guitars take a backseat and the song highlights Mr. Hillier’s impressive vocal range. Great vocals and an emotional performance. But, if you’re not a fan of ballads have no fear for there’s more ferocious thrash metal to come. Overall ‘As World The World Dies’ turned out to be more complex than I originally thought. It’s a good mix of Bay Area thrash metal and classic heavy metal with enough variety to please fans of both genres. ‘Dying to Exist’ is the latest album from the American thrash metal band Hatchet. These guys have been around since 2006 and they are from The Bay Area, California – the same place where many world-renowned thrash metal bands started out back in the ‘80s. It’s pretty clear that these guys like their ‘80s thrash metal. The influences are hard to miss; with Testament being the most prominent influence, combined with the speed and aggression of Slayer. Oh yes, speed and aggression rules the day here. Throw in some Testament-style guitar harmonies to the mix and you will have a fairly good idea of what Hatchet sounds like. At their fastest, their music is bordering on speed metal, with songs such as the Desire For Oppression offering more than enough energy and aggression to get a mosh-pit going. On the other end of the spectrum you get the more technical tracks like Where Futures Regress, which starts fast before mellowing down towards a more melodic, yet still very guitar-centric part mid-way through the song. Illusions of Hope reminded me of Kreator mostly due to the similarities in both the vocal style and the twin guitar harmonies. In summary, ‘Dying to Exist’ is proof that old school thrash metal is having a revival. Had I not known that Hatchet have only been around since 2006 I would have assumed that they were from the ‘80s themselves. They are continuing the tradition introducing a new generation of metal fans to the Bay Area Thrash Metal. Well, insanity is as insanity does, and this bunch of original bay area movement death-thrashers do more than a little of that. Furious energy, blazing leads, and venomous vocals are slathered over liberally, and all truly does come across as a little unhinged. However, that isn’t the be all and end all of a great metal band for me. The disjointed must be hammered together in function as well as form, and this particular promethean project is somewhat of a lumbering monster rather than a slick reflection of god, lacking the smooth grace of today’s polished icons. It’s surprising that this is only Insanity’s second album, and that their sound is still “of its age”. The inexorable march of time seems to have left them to the dusty labyrinths of history, still following the thread that will eventually lead them to the light of day and the modern metal world. That’s in no way a fatal flaw, and many will certainly see the stoically traditional approach that Insanity continue to employ as endearing and charming. Furthermore, it is to be admired that they have released this opus at all, as the intended re-recording was sadly put to rest with the passing of drummer Bud Mills in 2007. Where ingenious ideas flare up, they are really noticeable, but they do seem a little unfinished, and the production is so cushioned that it takes the edge off the impact that these moments could have had. It’s possible that if this issue was pulled up to date that the entire thing would take on a new life. Visions… is definitely worth a listen or ten, but it kind of seems like the demo version of what it could have been, especially when compared to their 1994 full-length Death After Death. A nice collector’s piece for the heavy thrash connoisseur at any rate. The DVD will be out on October 21st via Nuclear Blast. Bay area thrash legends Testament have released a trailer for their upcoming DVD “Dark Roots Of Thrash”. Produced by Get Hammered Productions, directed by Tommy Jones and mixed by Juan Urteaga, it captures a total of 19 live tracks played at a sold out gig last February at Paramount, New York. Multi-cameras onstage and above the crowd, plus a special moshpit camera caught all the action. “For all you die hard metal heads out there ‘Dark Roots Of Thrash’ is a must have for your collection. This live DVD and CD is something you can put in you player and crank up for the feeling of a live TESTAMENT performance! You will get 18 songs from the early days of thrash metal to where we are today. Heavy metal forever!”, says singer Chuck Billy.